Isn’t it interesting how things go in cycles. 2015 was a year of losses. I lost my good friend, Lynn Jennings, to cancer. My mule, Tess, and Alicia’s dog, Coda, both died of old age. I placed my wonderful horse, Remi, in a new home and we sold our house in Blanco in preparation for a big move to Colorado. 2016 has been just the opposite. There have been new beginnings everywhere. The move to Colorado went smoothly and my trips back to TX to see horses, friends and family have worked out well. Cerise made the trip to Colorado with ease and we welcomed her new horse friend, Tanq, into our family. We brought Max and the cats with us and have added a new dog, Maliki. We love being in Colorado and in addition to our friends we knew here, we have met some great people. Everyone is super friendly and the atmosphere in Pagosa Springs reminds me of Austin back when it was a small town. My good friend, Carol McKinzey, moved to Pagosa Springs and we have enjoyed spending time together. The www.holistichorsekeeping.com website got a total makeover so it could be easier to navigate with a smart phone. Our Five Element horse temperament typing system is gaining acceptance and you can learn more at www.horsetemperament.com. In addition to information on temperament types and our balancing formulas we now have a brand new, updated online course available. I am so grateful to have partners like Dree Ward and Kim Bauer. This year I was invited to speak at the Academy of Veterinary Homeopathy in Austin, TX, at the New Earth training in Oregon and at an osteopathy seminar in Oregon. These meetings gave me the opportunity to reconnect with many old friends and make some new friends. Alicia has a new job at Wyndham resorts and she enjoys it very much. We took a ride on a real steam engine train to celebrate our anniversary. That was cool. I was privileged to work with 3 new mentoring students in 2016. I love working through cases and digging deeper into holistic theory with these dedicated students. I was able to experience my first White Christmas. We got about 16 inches of snow over the holiday weekend. I also got to shovel my first snow and we now have a brand new snow blower. I have learned a few things about cold weather living. For instance, watering horses is more of a challenge. Hoses freeze even if you get all the water out of them. Manure that is frozen can’t be picked up and for some reason the horses think right in the gate is the best place to poop. Keys actually break off in locks if the locks are frozen. Plowed and drifting snow can make a ditch look just like part of the road but it is in reality very much still a ditch. I am counting my blessings and looking forward to a wonderful year in 2017. Happy New Year. With the new website at www.holistichorsekeeping.com you’ll find all your holistic horse care needs easier to find and order using any of your devices. This site is very mobile friendly making it easy to order your horse products and informational materials right from your Smart phone or tablet. Whether you’re looking for quality products or information from our collection of free resources, you can find it by category or brand name with ease. 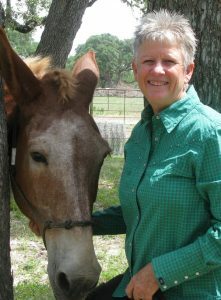 This entry was posted in General Horse Care, Newsletters and tagged horse, horse care, horses, winter horse care on January 1, 2017 by Madalyn Ward, DVM.